The North Island is in the north, the South Island is in the south. Simple, easy, and apparently unofficial. The New Zealand Geographic Board is looking to make them official, and possibly add in alternative Māori names to go with them. They are going to canvass iwi about what the options might be. These islands have already been through a few name changes since James Cook first recorded the names ‘Aeheino mouwe’ for the North Island and ‘Tovy-poenammu’ for the South Island. How did we get North Island, South Island and Stewart Island? In 1840 the islands commonly known as ‘Northern Island’, ‘Middle Island’ and ‘Stewart’s Island’ were given the official names of ‘New Ulster’ (for the North Island), ‘New Munster’ (for the South Island), and ‘New Leinster’ (for Stewart Island). It will be no surprise to find that these names did not stick. An 1852 map shows the North Island as, ‘New Ulster or North Island’; the South Island as ‘New Munster or Middle Island’; and Stewart Island/Rakiura as ‘New Leinster or Stewart Island or South Island’. Yep, Stewart Island was once known as the South Island. North, middle, south. It makes sense. Around 1907 the minister of lands decided it was time to lose the ‘Middle Island’ title, and just have North Island, South Island and Stewart Island. What are the possible Māori names? The most likely names are: Te Ika a Māui (Māui’s fish) for the North Island and Te Waipounamu (greenstone waters) for the South Island. These names are frequently used in an informal capacity. 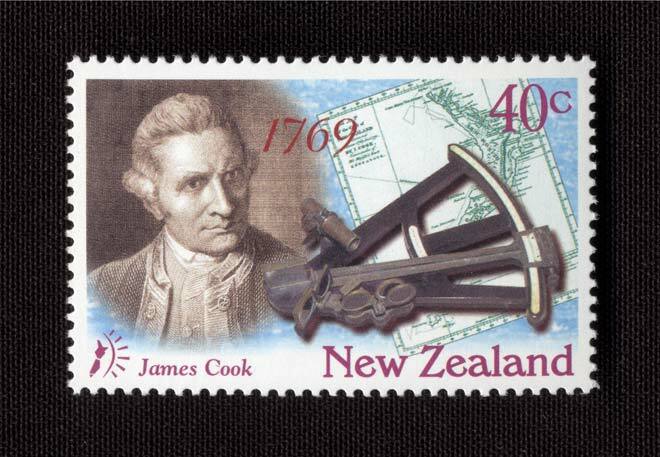 James Cook, after speaking to a kaumātua in Queen Charlotte Sound, recorded that the North Island was known as ‘Aeheino mouwe’. There is speculation about what this actually means; possibilities are: fished up by Māui ( hī nō Māui), fire of Māui (ahi nō Māui), breastbone of Māui (ahei nō Māui). The South Island was recorded as Tovy-poenammu, or Te Wai Pounamu (The Greenstone Waters). Stewart Island is his anchor stone (punga) – Te Punga a Te Waka a Māui. However, Stewart Island is out of the equation as it is already known as Stewart Island/Rakiura. Rakiura is short for Te Ura a Te Rakitamau (The glow of Te Rakitamau). Te Rakitamau, whose name is shorted to Raki, came to court a woman. When he arrived she had left with her husband and he glowed (ura) with embarrassment. Aotearoa and Te Waipounamu were in use historically to mean the North Island and South Island. However, Aotearoa was also used to mean New Zealand, at least from the 1870s, and probably earlier. The Māori translation of the national anthem was done in the 1870s and was called ‘Aotearoa’, meaning New Zealand. The South Island is also called the mainland (and South Islanders mainlanders) as it has a larger land area than the North. The North Island is thus but an outlying island to the mainland. I’ve always had a favourite theory that the name “Aeheino mouwe”for the South Island comes from the Maori word for a dolphin – “aihe”. Thus “Te Aihe no Maui” – Maui’s dolphin. Thanks Coln. Yeah,shouldn’t forget the mainlaind. It’s an interesting name because it’s a real claim to identity. Yet, there is no equivalent for the North Island. People might claim to be a mainlander, or even a South Islander, but how often do people boast about being a North Islander? It’s interesting that you mention that. I had noticed trying different pronunciations that the first part was close to aihe (dolphin). It does make more sense than most of the other guesses. So, out of curiosity what is the Maori name for Oz, anyone? Hadn’t heard that one Jayne. However, Ahitereiria is the Māori name for Australia. It is interesting that when on 29 July 1907 the minister of lands (who interestingly was Robert McNab the historian) declared that henceforth the ‘Middle Island’ would be replaced by ‘South Island’ and poor old Stewart Island would lose its ‘South’, the New Zealand Tablet noted that henceforth Sir Joseph Ward, whose constituency included Stewart Island, would no longer be able to trumpet ‘I stand here as the sole representative of the South Island in Parliament’. And according to the Place names entry, it was Joseph Ward who successfully moved an amendment to the Designation of Districts Act 1894 which specified that any future naming or name alterations would give preference to original Māori names. Thus, arguably, leading to the Geographic Board proposing alternative Māori names for the North and South Islands. I have also heard Australia refered to as Te Pāpaka a Māui or ‘Māui’s crab’. You admirably make it clear that New Zealand has gone through the 1840 official names of ‘New Ulster’ (for the North Island), ‘New Munster’ (for the South Island), and ‘New Leinster’ (for Stewart Island. )We know that the current mainly pre 1840 names are popular except for those who want change from a Maori perspective. That’s their right. However,so long as the middle island is called the South Island and the north island is called the North Island, then I’m happy.